giveaway :: table @ river market! We are kicking off the new week with a new giveaway! Located in the heart of New Westminster, the River Market offers over 70,000 square feet of retail space for you to shop, eat, and play, all right next to the mighty Fraser River. They work hard to embrace local food vendors with a vision dubbed FOOD 360 as well as independent makers and shops. Got Craft? 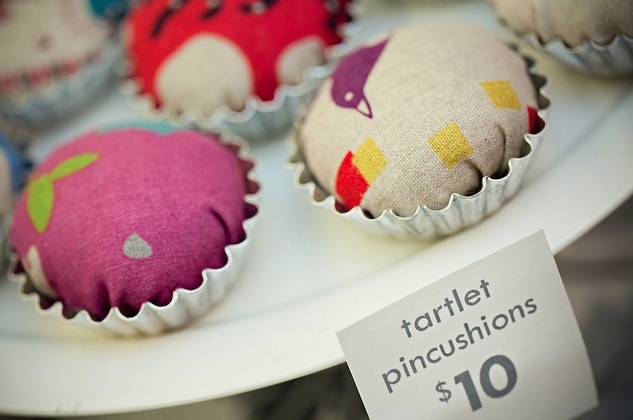 is happy to curate the vendors for the River Market holiday show; a multi-day handmade market! Running two consecutive weekends starting on Saturday, December 10th and ending on Sunday, December 18th, 2011. We are giving away one table space at the December 10+11 River Market Holiday Show curated by Got Craft! Before entering, please take a look at the Got Craft? website, flickr and vendor list to understand what Got Craft? is about and to see what type of indie crafts we are looking for. To enter, please leave a comment below or email us at info(at)gotcraft(dot)com telling us why you think your products would be a good fit to the show with a weblink to images. The giveaway is open to Lower Mainland based indie crafters and new applicants only. All items must be handmade. Excludes not for profits and organizations. Winner will be chosen based on overall fit. Contest closes in one week on Monday, November 7th, 2011 at noon (PST). I am Lana Hicks from (http://www.LanaBetty.com) and I make costume jewelry. I use vintage and upcycled materials as well as brand new outsourced items from all over the world. I have recently also gotten very involved in felted brooches, magnets and necklaces may soon be on the horizon. I am new to Vancouver and am looking for an opportunity to participate in the crafting scene. I am looking forward to meeting like-minded creative people, to learn and grow and craft! As a result; I have had to give my brand and business considerable thought about design and style. Over the last six months I have redesigned my website from scratch; on my own. This has included learning HTML and understanding CSS. I’ve outgrown my server space twice and am making good sales both online and private (custom). Also: I have a flickr stream. I have made substantial changes to my display; redesigning my earring cards, hanging displays, lighting and signage from scratch. I believe the mint/natural wood/white theme will be much more elegant and effective (it will also match my website design). I have also added track lighting which will sit above my display and will double function to house my bunting-flag-banner for my business. I have considered every detail, attended many Vancouver craft shows to learn and speak to vendors. I have learned to be better connected. I write a #wednesdaytreasury blog featuring curated Etsy treasuries and am building my twitter reach. I have a newsletter, participate in pinterest, and a pretty solid facebook fan page. I have done my research and I know I am ready to be a participant at the shows in this city. Sometimes you can have great product, but all the flash gets in the way. I am excited to learn more and grow more, ever evolving and hopefully make a few friends along the way! So, please pick me, I am eager and ready! Hello, I think it sounds like a great idea, Lana! You seem ready for success. Good luck!